Carrying burdens the other can’t comprehend, they must decide if they’re willing to face one more battle: the fight to save their marriage. From the director of THE GRACE CARD and the studio that brought you FIREPROOF and WAR ROOM comes the story of one marriage … one family … under God. Sarah Drew, featured for nine years on Grey’s Anatomy, stars as Heather Turner in INDIVISIBLE and executive produced the film. In addition to Drew, Bruening (Grey’s Anatomy), George (Grey’s Anatomy) and Mowry (Sister, Sister), INDIVISIBLE features Michael O’Neill (NCIS), Eric Close (Without A Trace), Madeline Carroll (I CAN ONLY IMAGINE), Tanner Stine (The Thundermans) and Skye P. Marshall (Black Lightning). 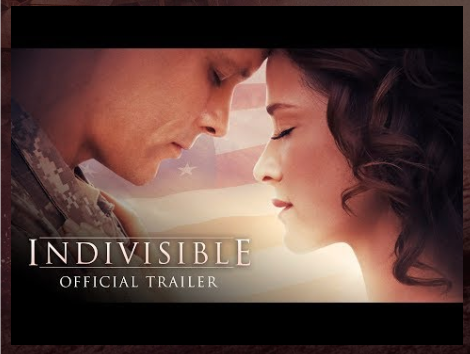 INDIVISIBLE brings the battlefields of Iraq to vivid life and opens the door on challenges faced by families at home, both while loved ones are gone and when they strive to reintegrate with each other. The film was shot in Memphis, Tennessee; Iraq scenes were filmed near Santa Clarita, California, north of Los Angeles, at the Middle East Village set on Blue Cloud Movie Ranch. Next Mother’s Day Facts, Trivia, And Lore!